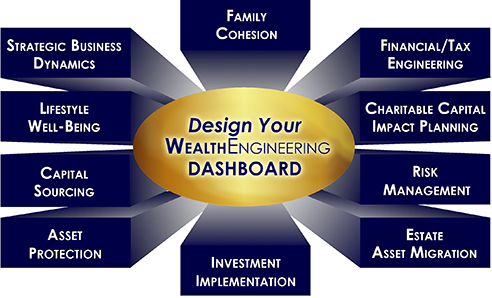 Fusing advanced knowledge, experience, services and pro-ducts with sound engineering principles to create a synchro-nized hub for family and business wealth building. Fortify your client value propo-sition by fusing new services and products into your offering; creating fresh revenue and profit silos while enhancing client acquisition and retention. team of professionals amplify the perpetual value and success of advisory firms. and efficient implementation; monitored and refined as needed.